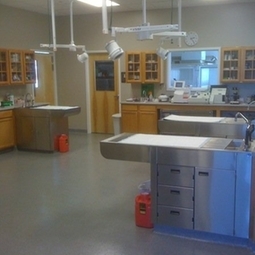 We utilize a variety of anesthetic protocols at Casco Bay, tailoring each to the needs of the individual patient. -We take the time to perform pre-anesthetic screenings as needed, use modern drug protocols to sedate patients, and induce anesthesia based on a particular patient's needs. -All patients having non-elective surgeries are supported with an intravenous catheter and fluid support to maintain vital organ functions, and we encourage this practice in all our surgical patients. -Body heat loss is also minimized with a variety of techniques during surgery. -We monitor vital signs with state-of-the-art equipment and each patient is closely supervised. -Special attention is paid to pain management in all of our surgical patients. Essentially, we strive to make one of the more stressful experiences for people and pets alike as gentle and stress-free as possible.